Paletta is a game made by team Cosmic Latte for the 2017 Indie Game Maker Contest, where it finished 2nd place in People's Choice Vote and 7th in Judge's Choice. This review is for version 1.31 (or is it 1.35? ), which is an updated release published shortly after the contest. The first thing that strikes you about Paletta is its distinct visual design. 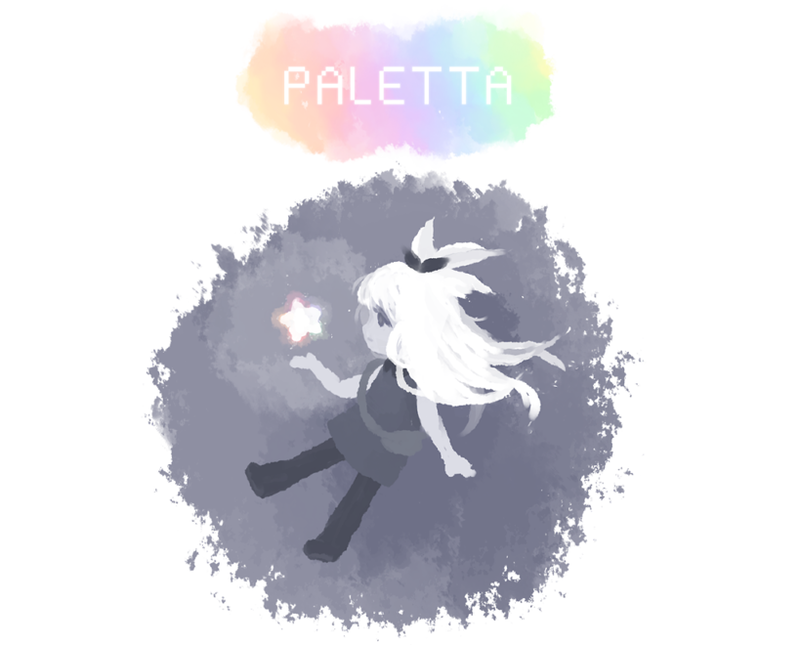 Like many indie games these days it has a cutesy minimalist art style with a monochrome palette, but instead of the usual bright color like pink or yellow, Paletta is done in mostly white and and bluish-grey, giving it an ethereal and somewhat melancholic vibe. There's a good reason for that, as the premise of the game involves the titular character, a young girl, traveling through a world that has lost its colors, restoring them to each location. It's admittedly not a very unique concept, and can be found in many video games. There's quite a bit more to the story and even a big twist at the end, but I'm not going to spoil it. The story presents itself like a fairy tale and is very cute for the most part, but it's also pretty emotional and even gets slightly messed up at some points (don't worry though, it's not a horror game). The gameplay mostly consists of walking around and performing tasks requested by the NPCs. Each town has a unique theme to it, and the specifics of the tasks as well as the amount of time you'll spend in each place also vary accordingly. Unfortunately, I only really enjoyed playing through the first area, which has more or less standard item-based type of gameplay. For the rest of the game the quests generally involve lots of guesswork, trial & error or just waiting. 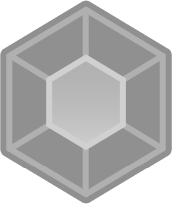 While completing the locations, along the way you also collect shards that give you certain abilities, like super strength or invisibility. Those abilities can then be selected through a special GUI and be used to complete some later parts of the game. It's a pretty interesting mechanic in theory but doesn't reach anywhere near its full potential, perhaps due to the short length of the game (as well as the submission period of the contest it was made for). The system is also a bit buggy, and switching between the shards can be a bit awkward at times. What I like the most about this game is how much effort was put into its presentation. Aside from a few bugs Paletta is a ridiculously polished game, especially for something made in under one month. There's a lot of attention to detail both in graphic and sound design, every element has been fleshed out to make sure the immersion isn't broken as the game establishes a strong, magical, and slightly eerie atmosphere. Like I mentioned before, I did find the gameplay kind of lackluster, but in games like these it's not all that important to my enjoyment of the game (plus it's only like 1 hour long), and in the case of Paletta the other aspects of the game more than make up for it.